Having a baby is a life changing moment, such an amazing milestone in someone’s life! If you are becoming a first time Mom, or this is not your first child, these tips can sure come in handy! Everyone always told me that every child is different, and I see that now! I have two girls and they were different with everything, from teething to clothing sizes! The teething stage can be such a challenge, especially with little ones cutting multiple teeth at one time! The teething stage is ongoing as an infant all the way up to childhood years. Johnson and Johnson has some great products out, that can help soothe and make the teething stage much more comforting. Warm Baths! As adults, doesn’t warm water tend to soothe/comfort us?! Imagine how it feels to your baby, who was used to being in your womb surrounded by warm water! Johnson and Johnson offers a variety of bath products to use during bath time! Sensitive, bedtime bath, bubble bath, you name it! I prefer to use the Bedtime Bath, because it has effectively calmed my baby down. The Bedtime Bath has “Relaxing NauralCalm Aromas” in the wash. Simply warm up some water, luke warm, test the water temperature before placing baby in it. After water temperature is tested, you can either add the wash directly to the bath water, or you can use a soft wash cloth to was up baby. 2. Baby Powder! Diapers can be very messy during teething! Along with messy diapers, diaper rashes can also occur. Often times, babies can catch common colds, or viruses, and along with teething, these messy diapers can turn in a rash. Rashes could be severe or mild. Severe rashes could be painful for the baby if in the diaper area. With these diaper rashes, you can use a diaper rash creme, along with Johnson & Johnson’s Baby Powder! 3. Soothe your baby with Bedtime Baby Lotion. Johnson and Johnson makes a Bedtime Baby Lotion, same scent/kind as the Bedtime Baby Bath. Right after your baby gets done with their bath time, and after drying him/her off you can apply the baby lotion. A great way to apply the lotion is through a baby massage! Several massaging techniques can help your baby relax! For example, massaging your babies’ toes will help with the teeth discomfort and any head discomfort. This Bedtime Lotion also has a soothing gentle smell/aroma to help your baby sleep. Do you love to save money? 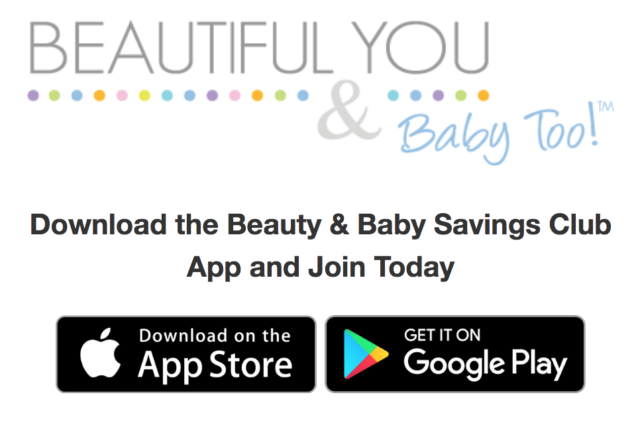 You can download the handy Johnson and Johnson Beauty and Baby Club app! With this app you can get tips through your email inbox, earn points, receive coupons and even a FREE Birthday Gift!! Who doesn’t love FREE?! Download the app today!